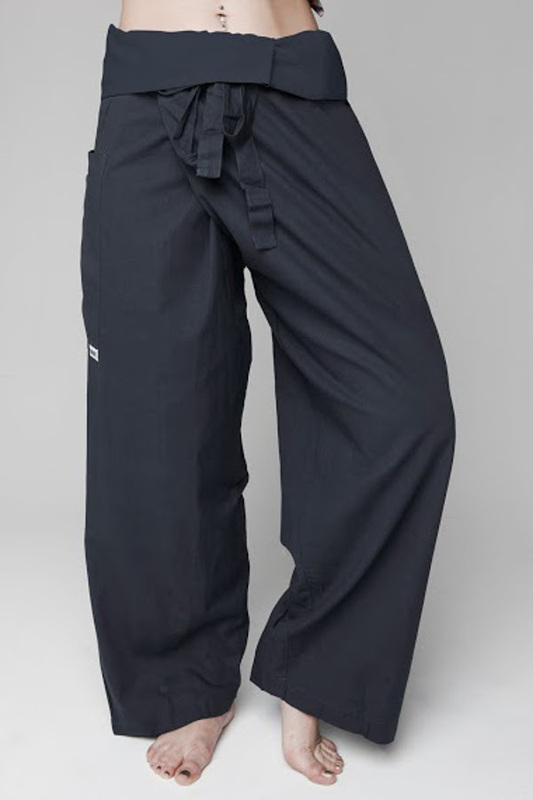 These unique full length classic pants are made from super soft 100% organic cotton. 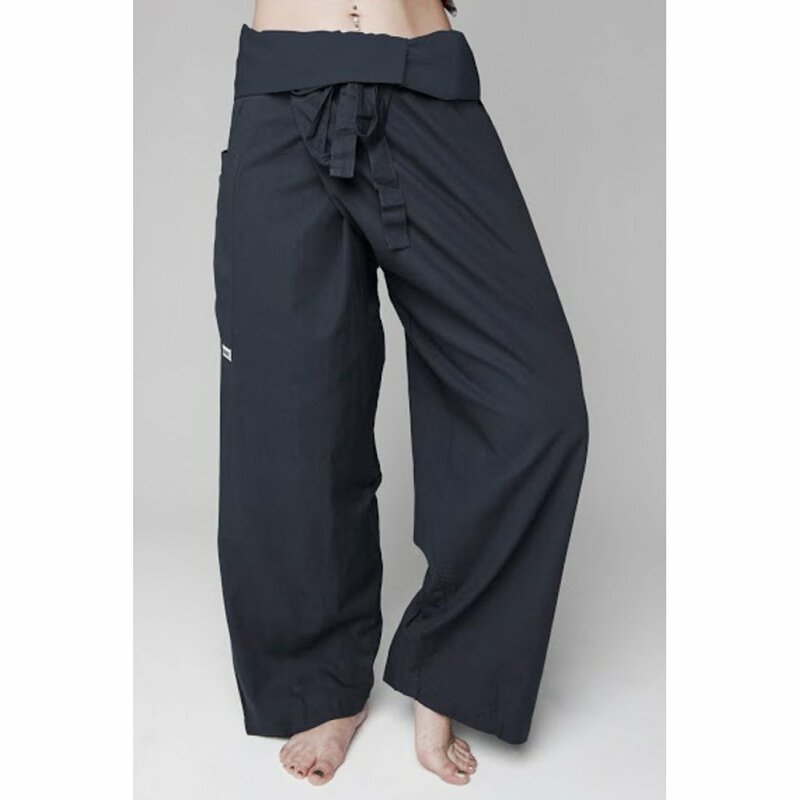 They are ideal for the beach, travelling, yoga, martial arts and relaxing. They are also perfect as maternity wear. The trousers take on a modern twist to the traditional Thai fisherman trouser design. They have been re-cut to ensure a flattering and more attractive fit which also allows for a full range of movement. They are designed to hang just below the ankle and you can make the trousers shorter by folding over more material at the top, or longer by folding less. They can be worn low on the hips, high on the waist, loose or tight. One size fits all. The Marzipants Full Length Trousers - Grey product ethics are indicated below. To learn more about these product ethics and to see related products, follow the links below. There are currently no questions to display about Marzipants Full Length Trousers - Grey. Marzipants produces a range of ethical trousers, a modern take on the traditional Thai Fisherman style. The brand was founded in 2012 by Maree, who felt there was something missing in her life so decided to leave her regular job to do something amazing. While being based on the traditional Thai fisherman style, Maree worked tirelessly to perfect the final design to create more contemporary ethical fashion that was sure to attract customers in the UK. Marzipants ethical fashion products are hand made in a small Fair Trade workshop in rural India which employs 28 local women, paying them a fair wage for their work which allows them to better support their family and improve their economic position. When buying from Marzipants you know you’re getting high quality fashion and there’s no need to feel guilty.